If you’ve spent any time at all watching the Foreign Exchange market, maybe because you’re about to go on holiday and need to find the cheapest place to buy your chosen currency, or because you’re an actual Forex Trader, or maybe just because have a passion for stock charts, you will have noticed that the markets slow down considerably between the months of June and August. Yes, that is right; there is a great deal of seasonality involved within the financial markets that you may have never considered before but will now become more important to you than ever as you embark or continue on your trading journey. The single biggest reason for this change in market behaviour is down to the fact that a lot of Institutional Traders are on holiday. Large Investment Banks account for the vast majority of market volume and so when their staff are away over the Summer, the total amount of transactions as well as the size of each transaction decreases considerably. As we know, large intraday price moves are dependent on large buy and sell orders and without these, price action is usually confined to a very tight range between two price points. Additionally, especially when price levels are very close to a major level of support or resistance, it is possible for a break to take place where the current price breaches its support or resistance and then enters a freefall due to multiple stop loss orders being triggered on this unexpected breach. Now usually, this break would be caught immediately and reversed as traders responded to change in price action but due to low volume, it is possible that prices can rise or fall to entirely unanticipated levels, and you can imagine the damage this can cause. 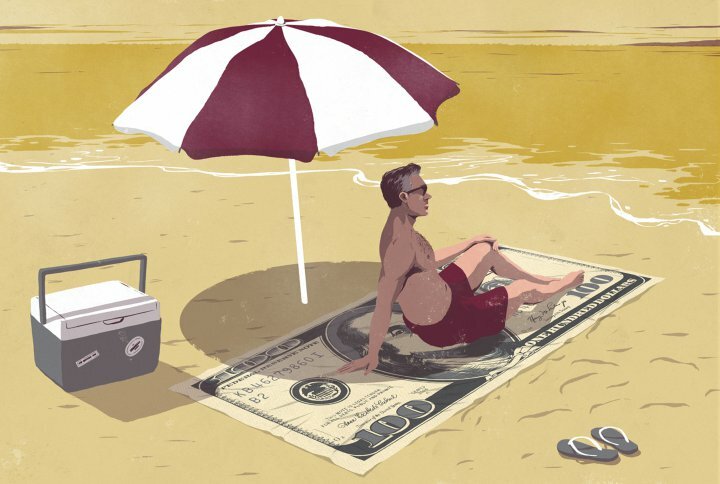 Of course, Investment Bankers and Floor Traders are not the only people who take holidays. During this period, the Governments of some of the World’s largest economies take a recess for Summer and without new headlines dictating Government policy, there just isn’t much data available to trade with. These events are ultimately unpredictable but not uncommon during the Summer months. Most traders will reduce trade volume, order size and tighten their stop loss levels to avoid any surprises. More experienced and confident traders will seek to take advantage of these unusual market moves but it does take a lot of skill, a little luck and involves significant risk. Thankfully, early September signals the unofficial end of Summer and normal market activity resumes quickly and continues through most of December and well into the New Year. If you’re trading with us and our Expert Advisor, then MELISA’s algorithm has been written to take these periods of low volume into account and can actually do very well with them as has been seen over the past few years of its backtest.